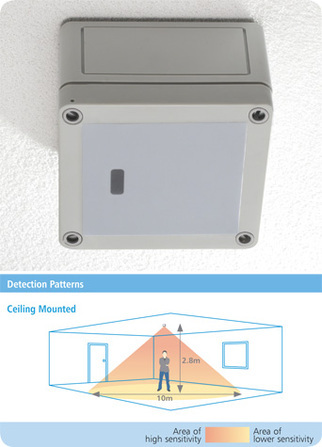 The new MWS1A-C-IP-PRM presence detector range builds on their already tried and trusted detection technology to give you even more functionality for your lighting control needs. With a whole host of features and benefits, the MWS1A-C-IP-PRM puts you in total control of your lighting. • All functionality is fully programmable using either the UHS5 or UNLCDHS handsets.